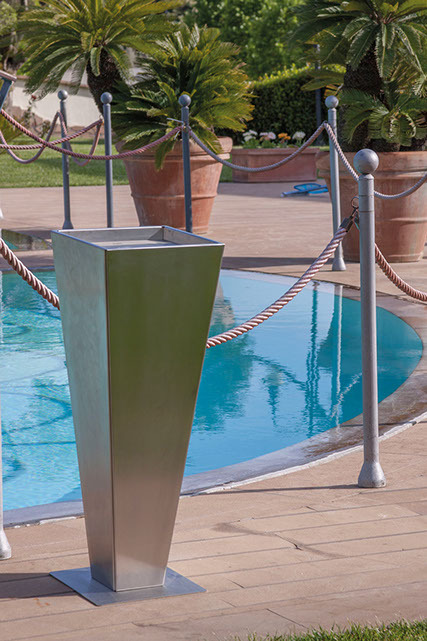 Thorpe bio fireplaces – designed by Domenico Lo Guidice – are the newest offer of Italian company Altro Fuoco. The designer has taken care not only of the functionality, but – above all – of unique and elegant design. 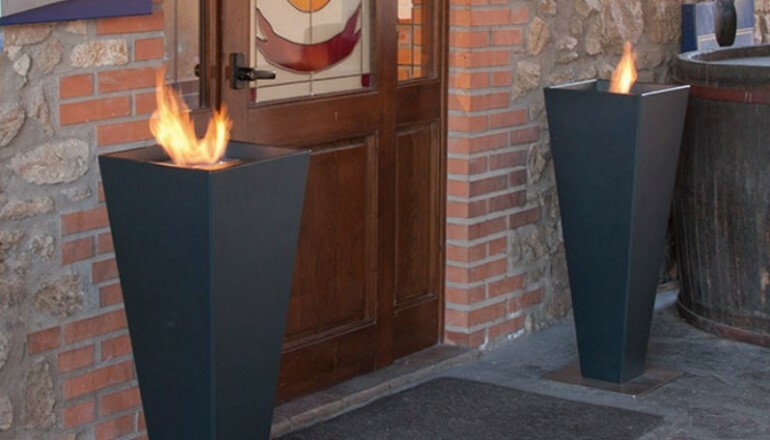 Bio fireplaces have shape of massive vase in the ancient style with the savour of modernity. Due to this fact, these devices will add charm to every interior. They will perfectly match to modern and raw space, but also to the interiors with soul, e.g. made of wood. Thorpe is really filigree – 95 cm height and corpus (as maximum) 35×35 cm. This guarantees adjustability and arrangement at any place. The advantage of Altro Fuoco offer is multiplicity of variants of this model. We can find four different propositions. Thorpe Glass – subtle bio fireplaces made of colourful glass. 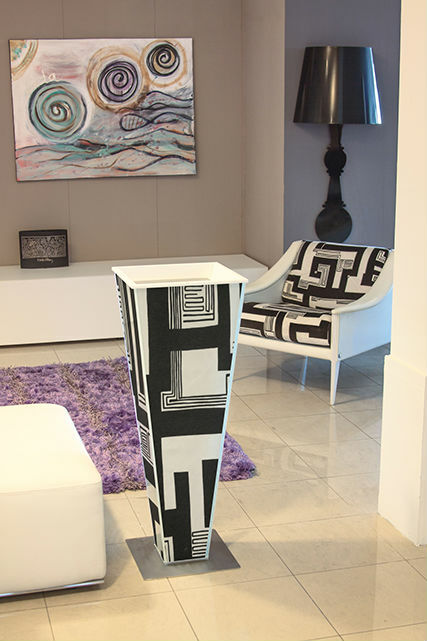 The designer offers three expressive and at the same time universal colours: white, black and red. The next proposition is an expressive line Thorpe Decor. The corpus of bio fireplace was always made of colourful glass, however this time the designer has stood up on colours and interesting patterns. The weight is 31.5 kg (without burner), the approximately burning time – 4 hours. The next two models are perfect for outside, e.g. on a pation, near the swimming pool or next to the front door. Thorpe metal and Thorpe steel bio fireplaces are finished with enamel metal. The weight is 18,5 kg (without burner), the approximately burning time – 5 hours. 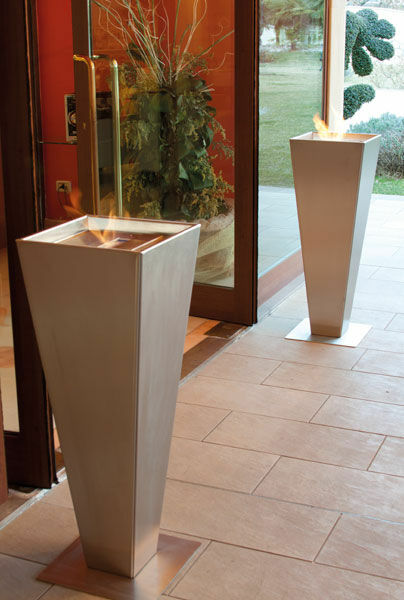 All bioethanol fireplace has metal base. Thorpe bio fireplace are subtle, elegance and unobvious decorations. Perfect for home, restaurant or hotel.